We’d love your help. Let us know what’s wrong with this preview of Criminal Injustice by Elihu Rosenblatt. 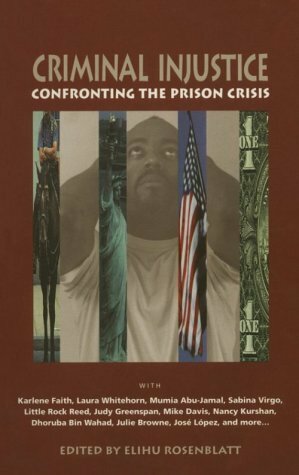 This remarkable anthology exposes and uncovers the economic and political realities behind the imprisonment of astounding numbers of the working class, working poor, and people of color. To ask other readers questions about Criminal Injustice, please sign up. This is a great book to educate yourself about the atrocity that is our criminal justice system. Take a look...you might learn a lot.